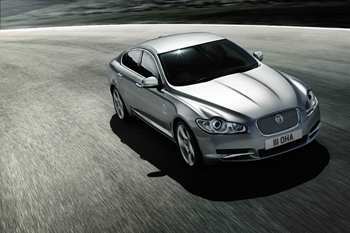 The Jaguar XF has won 'Best Luxury Car' and 'Best Diesel' at the 2008 Scottish Car of the Year Awards, voted for by the Association of Scottish Motoring Writers (ASMW). Bill Caven, President of the ASMW, said: "The new Jaguar XF is an extremely impressive beast in more ways than one. It not only looks strikingly different from anything currently on the market but has all the classic Jaguar qualities of luxury, refinement and power. "The entire judging panel was left mesmerised by this magnificent machine and it is a worthy winner in both the luxury and diesel categories." Geoff Cousins, UK Managing Director for Jaguar commented: "It's always great to receive such recognition within the industry, particularly in Scotland which continues to be a significant market for us." "Our eight Scottish dealers have sold more than 500 XFs since launch, contributing to the UK's total of 7,500 units. Worldwide, we have sold 27,000 XFs meaning Jaguar is currently 'bucking the trend' as overall sales were up 3.4% in September and 10.3% year-to-date." Jaguar's Scottish born Design Director Ian Callum attended the award ceremony in St. Andrews. He said: "It is always an honour to receive recognition from the Association of Scottish Motoring Writers and I feel very proud to have led the team that designed the award-winning XF." "We are creating a new generation of cars that started with XK ASMW 'Car of the Year' winner in 2006 - and now continues with the XF, a four door saloon that has the heart and soul of a sports car and the looks of a grand tourer." These latest accolades from the ASMW bring the tally of awards to 19 for the XF since its global debut in Frankfurt last year. Priced from $108,350 for the 2.7-litre diesel, the XF comes as standard with a generous specification featuring a host of innovative, industry-leading equipment. Highlights include the all-new JaguarDrive Selector™ and JaguarSense™ - a smart technical solution introducing touch or proximity-sensing control for overhead console lights and glove box. The XF is available with a choice of engines - 3.0 litre V6; 2.7 litre twin-turbocharged V6 diesel; 4.2 litre V8; 4.2 litre supercharged V8 - and specification. All XFs have a six-speed automatic transmission which features Jaguar Sequential Shift™, allowing drivers the option of one-touch manual gearshift using steering wheel-mounted paddle controls.